*Talk about a truly inspirational story. 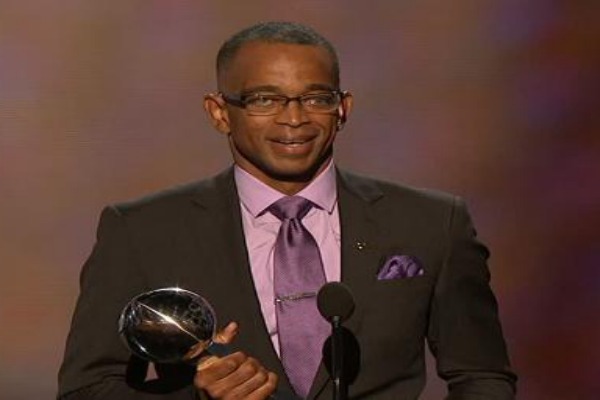 “SportsCenter“ anchor Stuart Scott was honored with the Jimmy V Perseverance Award at the ESPY Awards. A ESPN feature of Scott battling cancer was moving and his acceptance speech was even more inspiring. Scott honored the man the award is name after, Jim Valvano, a former North Carolina State University basketball coach who passed away from bone cancer in 1993. His youngest daughter joined him on stage as he talked about his children and how they are his driving force.